Aggarwal, who was active on social media, could have been spotted by Pakistan’s ISI as an easy bait, sources said. 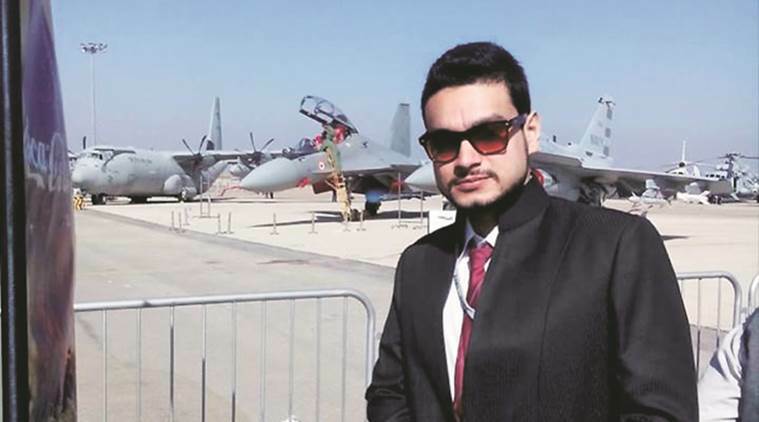 Nishant aggarwal, the senior systems engineer of BrahMos Aerospace Private Limited, who was arrested on Monday on espionage charges, was promised a job in America with a hefty pay package by his “Pakistani handlers”, sources privy to the probe said on Tuesday. “His interrogation has revealed that he was promised better job prospects by the handlers who posed as women and honey-trapped him. These accounts have been traced to Pakistan,” said an official. The agencies are probing if Aggarwal leaked sensitive data pertaining to the supersonic cruise missile, Brahmos, to his “handler”, who is suspected to be from Pakistan. BrahMos Aerospace is a joint venture between India’s Defence Research & Development Organisation and Russia’s Military Industrial Consortium, NPO Mashinostroyenia. “Aggarwal seem to have shared some sensitive information in a coded form and we are trying to decode the same,” said the official. The sleuths are also going to study his bank accounts and those of his relatives to see if any money was sent by the handler. “While the money wouldn’t have followed an official channel, but still his bank accounts will be probed to ascertain if there are unexplained funds deposits or transfers,” the official said. Sources said Aggarwal was chatting with three different Facebook accounts, which the Indian agency suspected was being operated by the same handler. Aggarwal, who was active on social media, could have been spotted by Pakistan’s ISI as an easy bait, sources added. “Though he was working on a sensitive project that involved national security, he had put out his professional details, including his rank, profile, the nature of the job he handled on social media and professional networking website. This could have been picked up by those trying to look for potential contacts in the Indian defence establishment to get data on country technology,” said an official. Aggarwal’s Facebook profile states that he studied at the National Institute of Technology, Kurukshetra, and also worked as a research intern at IIT-Roorkee. He worked as head of the Hydraulic-Pneumatics and Warhead Integration (Production Department) with the company and headed a 40-member team, including personnel from systems, engineers, technical and technology R&D group of BrahMos. Aggarwal was supervising the new projects at BrahMos’ Nagpur and Pilani facilities and was privy to a lot of sensitive information, said officials. The handlers seem to be interested in getting information on the new technology that was being developed jointly by India and Russia. Meanwhile, a local court in Nagpur on Tuesday granted the Uttar Pradesh Anti-Terrorism Squad (ATS) three-day transit remand of Aggarwal, who has been booked under Official Secret Act and Information Technology Act. Aggarwal was arrested in a joint operation of the UP ATS and Military Intelligence (MI) on Monday. Aggarwal’s father, a doctor from Roorke, who was in Nagpur on Tuesday, said his son was innocent. Aggarwal had got married in April and was staying in a rented house with his wife in the Ujjwal Nagar area of Nagpur. Meanwhile, an UP ATS team is in Hyderabad to make enquiries with the company where Aggarwal was previously employed.